Grade 304 stainless steel. Diameter 6mm. Length 40mm. Marine Eye Bolts 6mm x 40mm 5 Pack is rated 3.6 out of 5 by 21. Rated 3 out of 5 by TheFixerUpper from Beware if you're expecting 6mm These seem to be a sturdy, good-quality item, however, should you need a 6mm eye-bolt steer clear as the thread on them is actually 1/4" BSW/UNC so they failed to screw into 6mm threaded rods that I wanted to use them with. Rated 3 out of 5 by Tankdoctor from Eye Bolts Does what it says on the tin, just be aware if fitting into threaded holes or if you require a backing nut to secure, then these are NOT M6 thread, they are 1/4 UNC. Come on Kingfisher Gp purchasing its 2018, who uses imperial threads for day to day use. Rated 4 out of 5 by Johnoap from Very strong product BEWARE!! Although the product is very good, the spec on the product is misleading. Just about all the 6mm products you buy are 6mm fine, this is 6mm coarse. Screw fix do not sell 6mm coarse nuts and I do not have any in my house, plenty of 6mm fine. Where I want to use this product I now need two nuts per position. My plan was to drill and tap a 6mm thread into the hole for the fitting, I only have 6mm fine taps!! Now I need to buy either a 6mm coarse tap or 6mm coarse nuts. The spec should have said this is 6mm COARSE thread. Rated 5 out of 5 by Nicko69 from Great quality great price Used this as a tether point to secure a unit, was very strong for an m6 thread, would definetely use again!! Rated 5 out of 5 by BigJohn246 from Marine Bolts Not a lot you can say about the marine bolts, good product and nicely polished, and best of all a nice pack size. Rated 3 out of 5 by Sampson from Marine Eye Bolts 6 x 40mm Most of the previous (23) reviews of this product are very positive, and many five-star ratings appear at the top of the customer reviews list. What I don’t understand though is why I had to scroll quite a way down this list (which unfortunately, I didn’t do prior to purchasing this product) to find out from some other reviewers that the shank thread of this product is definitely not “M6”, which important fact was not mentioned in the earlier ‘five-star’ reviews. This was probably because these later reviewers just used the single nut per eye bolt which is supplied in the 5-piece pack, and so never realised the threads on this “M6 product” are not, in fact, “M6”! I should have thought it would be rare to be using the product with only one, non-locking, nut per eye bolt however, whilst in my particular case I bought these bolts to screw into existing M6-threaded blind-tapped holes. Which they didn’t, of course, fit! When I realised this was the case I deduced that the eye bolts were most probably sourced from the ‘still using Imperial measures’ USA markets and that accordingly I would not be able to find any (further) ‘imperial’ nuts, stainless or otherwise, which would fit the product (which in my particular case didn’t, in fact, matter much anyway since I wanted to screw the eye bolts into pre-tapped M6-thread blind holes) and because my personal ‘nuts and bolts’ stock is now all-metric.  Also, as some other reviewers have pointed out, Screwfix only sell metric threaded nuts! I found that one of the earlier reviewers (whose post was well down the list) confirmed, my initial suspicion: trekie Yate said: "The catalogue description is incorrect because it indicates the thread being a M6 which is not correct; the thread is actually a 1/4" x 20 BSW (Whitworth) therefore if you require any extra nuts to fit the eye bolt you will have to source them elsewhere because Screwfix don't stock Whitworth pitch nuts." Quite so! In addition to the above pretty major problem the supplied washers appeared to be “M8” (or the imperial equivalent of “M8”) and so were far too big to fit snugly over the ‘nominal 6mm’ eye bolt shanks! Also, when I checked up on other Screwfix-supplied eye bolts in my stock I found that non were, in fact, ‘as advertised’. A BZP version of the stainless “M6” bolts being reviewed here, also described by Screwfix as “M6”, was also, I found, not metric-threaded! As I have noticed other reviewing customers saying the same thing about the ‘M8’ eye bolts they had purchased I have concluded that ALL Screwfix eye bolts are ‘imperial’ and not ‘metric’ products. Since Screwfix’s specification notes for all their eye bolts are, it seems, very misleading may I suggest that Screwfix rectify this serious specification oversight ASAP! Rated 3 out of 5 by DaveTheBoater from Great Eye Bolts but NOT M6! These are fine Eye Bolts, exactly as described, but they are NOT M6 thread - be warned!